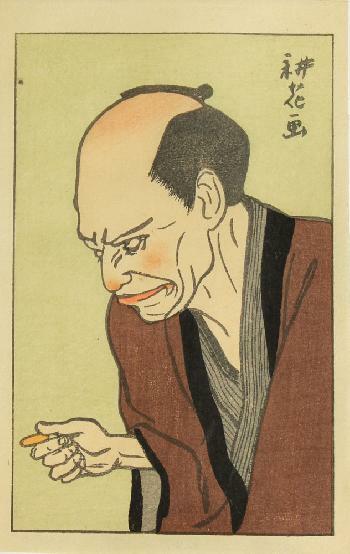 Onoe Matsusuke IV in an unidentified role. From the series of small actor portraits Shin Nigao – New portraits, published in 1915. Paper size: 11.6 x 18.3 cm.